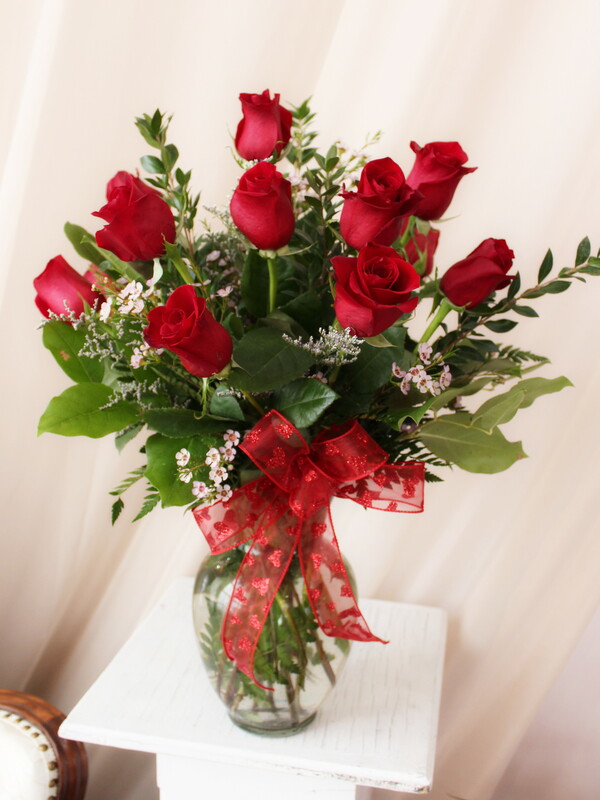 A dozen long stemmed red roses artfully designed in a glass vase. Premium mixed greenery, fillers, and festive embellishments make this the perfect gift for Valentine’s Day, Anniversaries, or that special someone. A dozen long stemmed red roses artfully designed in a glass vase. Mixed greenery, fillers, and festive embellishments make this the perfect gift for Valentine’s Day, Anniversaries, or that special someone. *Please specify color in requests section if color other than red is preferred.